← Yom Yerushalayim Special Event – Live Music & Limmud! 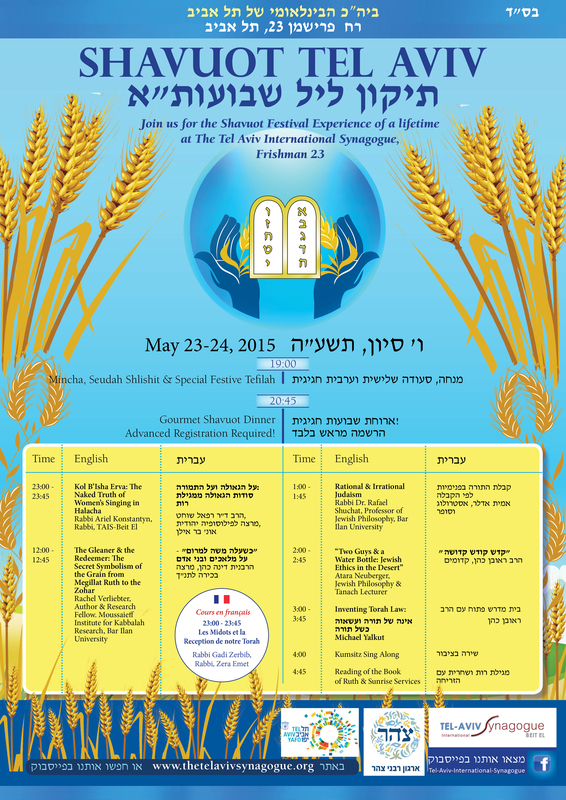 Shavuot All-Night Learning in English, French & Hebrew!!! Join us Saturday Night – Sunday Morning, May 23-24 for the Shavuot Festival Experience of a Lifetime!!!! This entry was posted in Community, Events, Holidays, Learning, Shavuot, Torah, Upcoming. Bookmark the permalink.